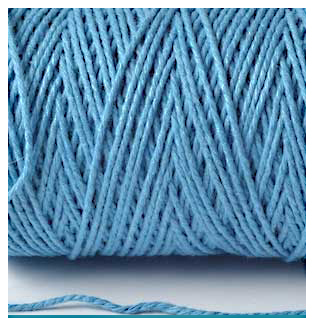 Sky Blue - 100M BAKER'S TWINE Finest. 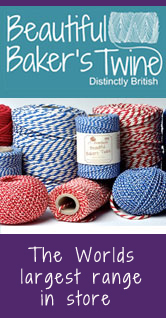 This gorgeous premium sky blue British made Baker's Twine is made from 100% natural soft cotton. 1mm diameter (thinner than the Original), presented on a recycled cardboard spool. Its nostalgic colourful charm means it looks great for whatever it is used for and is ideal for parcels, wedding favours, gift tying and general craft use.